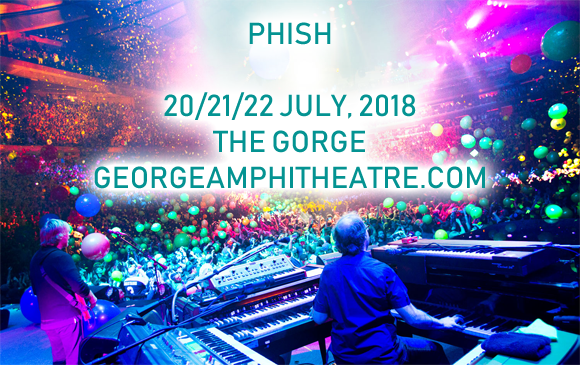 Three days of Phish kicks off at Gorge Amphitheatre on Friday 20th July 2018!!! The iconic jam-band will be getting groovy at The Gorge once more – the iconic jamband has played the award-winning venue sixteen times over the past twenty-one years, proving themselves as firm Washington favorites! Don't miss the opportunity to see one of North America's most legendary live acts at one of the world's most beautiful venues!